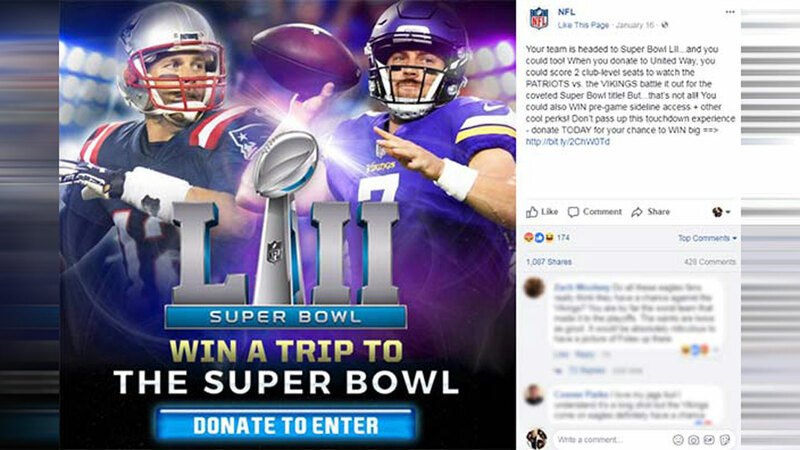 The NFL posted on Facebook a contest offering the chance for participants to win tickets to Super Bowl LII. The problem is that the participants haven't yet been determined. 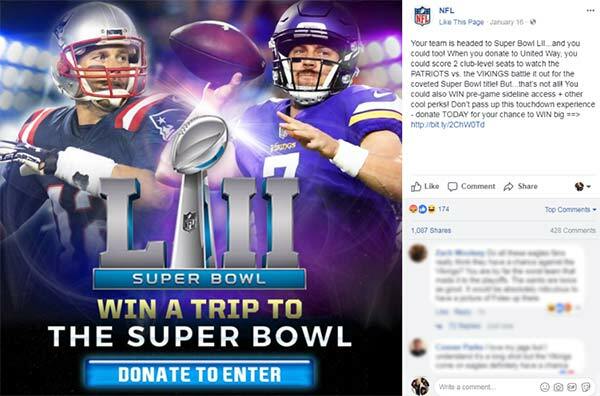 "When you donate to United Way, you could score 2 club-level seats to watch the PATRIOTS vs. the VIKINGS battle it out for the coveted Super Bowl title!" After three days and hundreds of shares, the post was deleted Friday afternoon. 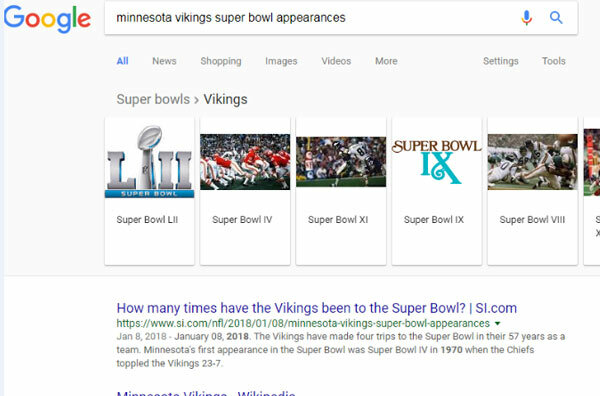 In addition to the suspicious Facebook post, internet sleuths quickly noticed that if you googled "Minnesota Vikings Super Bowl appearances" a search result came up showing the graphic for Super Bowl LII. A similar search for the New England Patriots returned the same image. 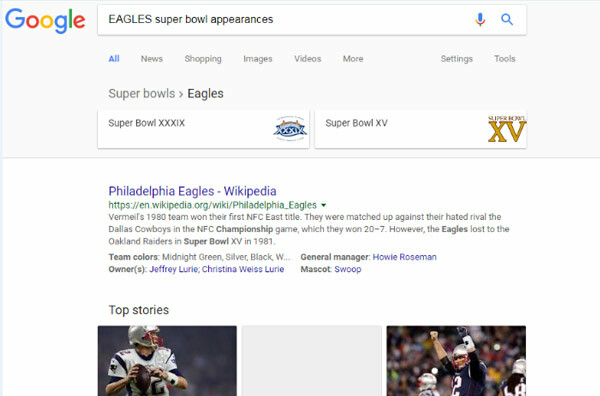 Curiously, when we ran the same search for the Eagles and Jaguars, no such Super Bowl LII appeared. Now, perhaps this can all be chalked off to a clerical error on behalf of an NFL social media manager, and that could maybe somehow lead to the production of the Google Super Bowl LII image result. But some see something more sinister afoot. Could it be a conspiracy? Is the game fixed? Needless to say, Eagles and Jaguar fans will be paying extra attention to the referees on Sunday.